A traditional Liù-Rén chart consists of three parts: 月將加時 the LAST chart, 四課 the Four Pillars, and 三傳 the Three Derivatives. LAST is the abbreviation of the 地方視恆星時 Local Apparent Sidereal Time and is fundamental to 六壬課 a Liù-Rén Setting. It is also used to determine 命宮 the Ascendant of a Natal Chart in both Chinese and Western Astrology. The Four Pillars are derived from the LAST chart with reference to the Stem and Branch of 占日 the Date of Casting. It represents the initial reflection of the divination and is also used to determine the Three Derivatives. The concept of “Auspiciousness is the reflection of change” in 《易》“Yi” can be extended to Liù-Rén, where Liù-Rén practitioners believe that 剋 De-vitalization is causing the change, and that the Three Derivatives represents the initial, intermediate and final status of the divination. In search of the origin of Liù-Rén via 《周禮》 the Book of Rites, 《吳越春秋》 the Spring and Autumn Annals of WU and YUE, and 《唐六典》 the Six Hierarchies of TANG. Detailed explanations of the theory of Wǔ-Xíng related to Liù-Rén. Introducing the 9 methods for Liù-Rén settings. Reveals the traditional meanings of the Twelve Celestial Figures in Liù-Rén. Demonstrates the applications of Liù-Rén. Display the relationship between the 64 hexagrams versus the traditional 64 settings. 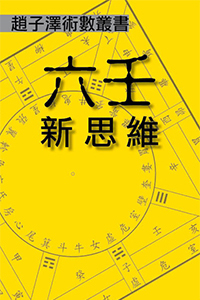 Case study of Liù-Rén divinations highlighted in the Spring and Autumn Annals of WU and YUE. This book is written for people who are interested in studying and practicing Liù-Rén, one of the board techniques in divination.